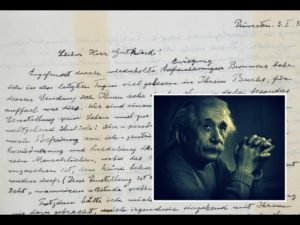 A handwritten letter from Albert Einstein about his thoughts on God, religion and his search for meaning sold for almost $3 million at an auction in New York on Tuesday, December 4th, 2018. A brief statement from the auction house said the letter sold for $2,892,500. It gave no details on the identity of the buyer. The one-and-a-half-page letter had been estimated to fetch between $1 million and $1.5 million. 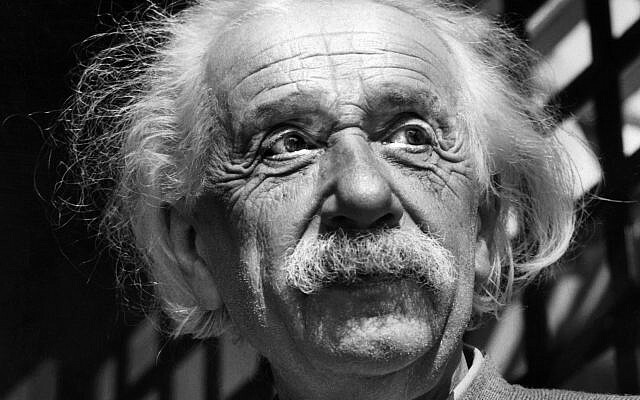 Written a year before the legendary physicist died in 1955, Einstein writes in German from Princeton, New Jersey to German philosopher Eric Gutkind after reading his book, ” Choose Life: The Biblical Call to Revolt”. The letter was previously offered at auction in 2008, bought by a private collector for $404,000. It is one of the definitive statements in the religion versus science debate. 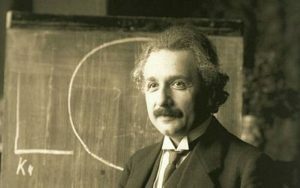 Last October, a note that Einstein had given a courier in Tokyo briefly describing his theory on happy living sold at auction in Jerusalem for $1.56 million.